August 19th. It's crunch time here on the East Coast. T-minus 2 weeks until school starts! Teachers are busy prepping their rooms and planning for the new year. Some are just refining and sprucing up their old rooms--which is always fun because you know what works and what you'd like to change a little. All those doing that, raise your hand! Some teachers are moving rooms, moving grade levels... starting from scratch with a blank canvas for an exciting new year. All those in that boat, raise your hand. YEP! I am teaching 5th grade this year! ...And I am super excited with a teensey side of nervous! Not nervous about teaching "big" kids...because I did teach in intermediate for 8 years before moving to K. Nervous because the curriculum is SO different from Kindergarten! My type-A does not do well with the "unknown" so I have been spending lots of time on my year-long plans and mapping everything out to wrap my head around it all. I will be sprinkling in some posts that will touch on stuff for older kids too. Because, well... I AM excited about this and I want to share cool things from my 5th grade classroom too! 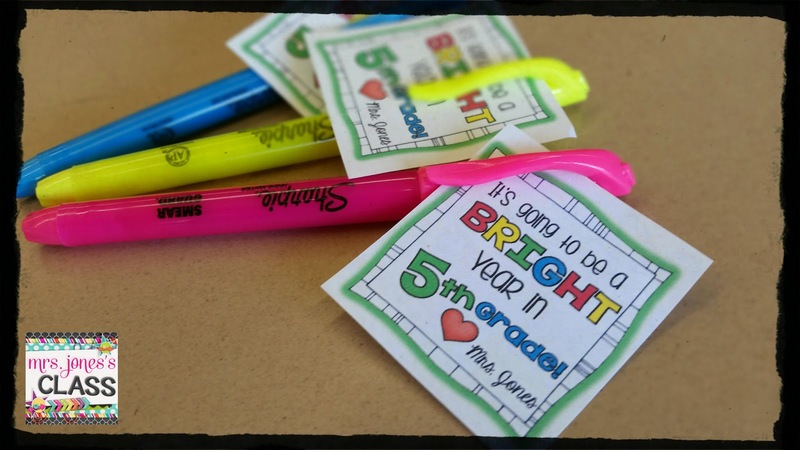 As a celebration of my new adventure, I made some cute tags to stick on highlighters for my incoming big kids. My primary friends could use them with glowsticks, finger lights, or sunglasses! You can download the labels for K-5 here. I am so excited for you but I will miss your amazing kindergarten products. I know you will do well and this just makes you grow professional. I can't wait to follow your journey! Omg!! 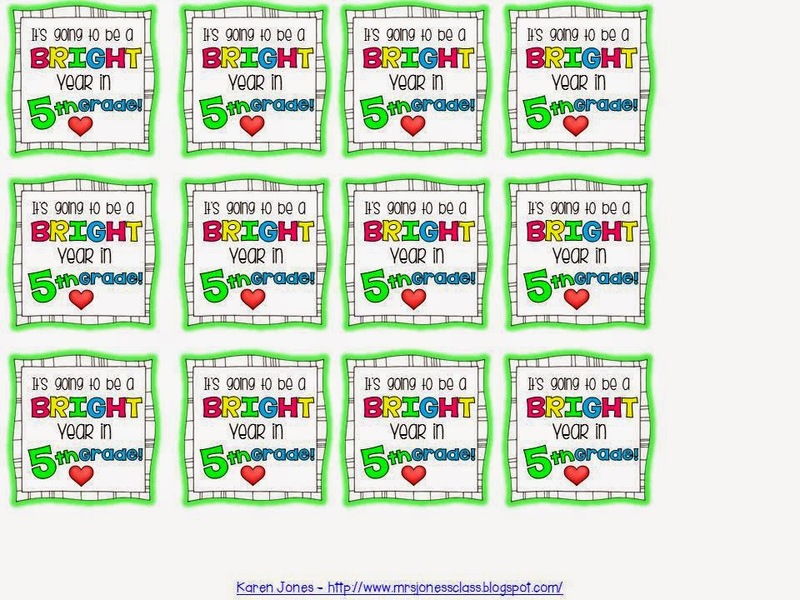 I taught Kindergarten as well last year and loved following your blog posts. As it turns out I'm moving to 5th grade too! How are you changing your room now that your moving grades!? I would love to read about some of the changes you are making! I can start in my room next week but the students return September 4th. I actually moving to a new school so I have no idea what my room even looks like! So nervous but excited too! So excited for you Karen! Can't wait to read about your year. Good luck and fun in your new adventure! You are much braver than I am. I left Jr high to go to Kinder and you couldn't pay me enough to go back to the "big" kids...lol. I have found where I belong. Love the new blog design!